**Alas! 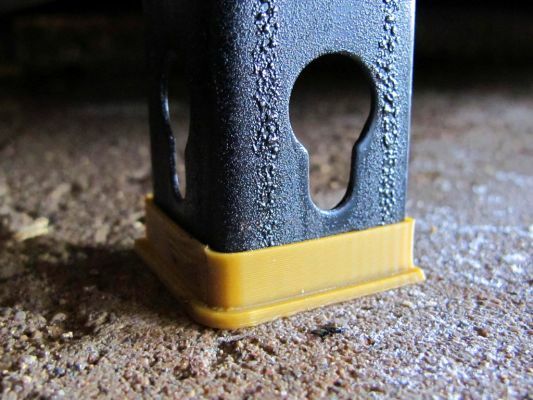 ** The shelving arrived unshod, and past experience tells me that corner of the garage will most certainly flood with the first significant rain of the season, so to the printer we go to keep the unit's legs rust-free. This footing is designed for this Edsal Storage Rack: http://amzn.to/1ktQcdS, but will likely fit others with some finagling of scale.